There is no better feeling in the world for a bookworm than to reunite with a cast of characters she calls family. I have officially been ruined by The Royals and I am irrevocably addicted to their story. 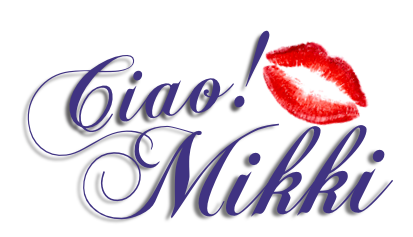 If you are new to this series, the first three books follow Ella and Reed's all-consuming love story. When you start one of these books, the world around you disappears! 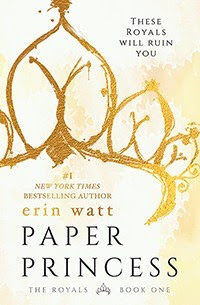 Tarnished Crown is a wonderful gift that Erin Watt gave to their fans. It's a novella that you do not want to miss if you loved Gideon and Savannah in the first three installments. 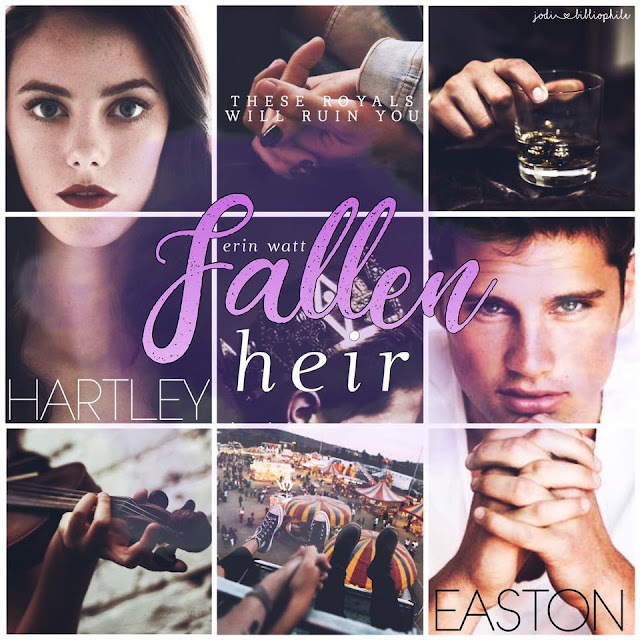 Fallen Heir follows Easton Royal and Hartley Wright. You will be absolutely mesmerized by their journey from the moment you meet them! Easton Royal is about to meet his match! Hartley Wright is a mystery. She's playing hard to get and Easton Royal is always ready for a challenge. The last thing he expected was to find what he was not looking for. A connection so strong that turns his word upside down and makes him want more in life. When these Royals fall, they fall hard and they don't look back. 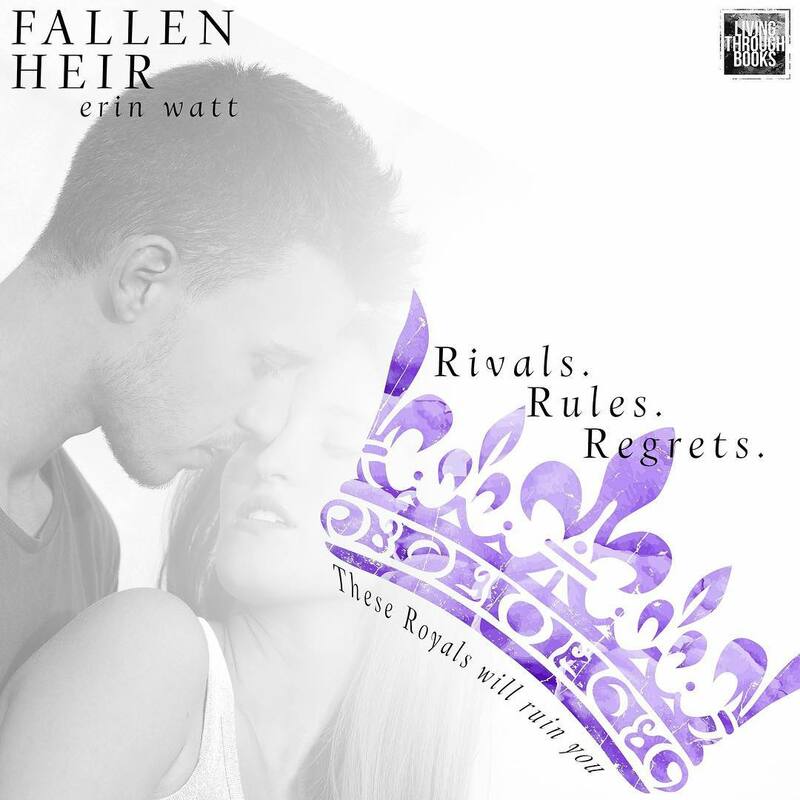 Fallen Heir exceeded of all my expectations! 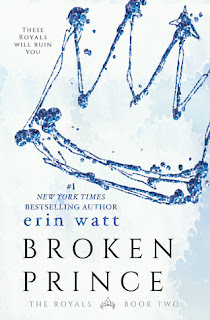 Erin Watt delivered another unputdownable reading escape that left me gasping for air! 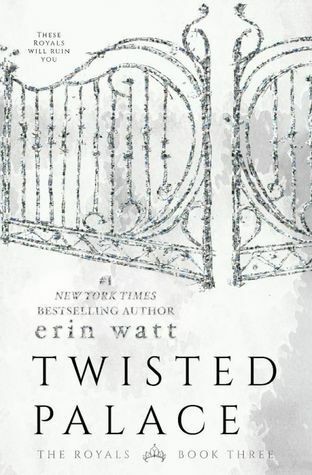 If you're not a fan of major cliffhangers, you might want to wait to read this book. The next one is releasing in January 2018 and it will be EPIC!!! I can just feel it! I'm getting chills just thinking about how Fallen Heir ended! My jaw dropped to the floor and I did not know what to do with myself. 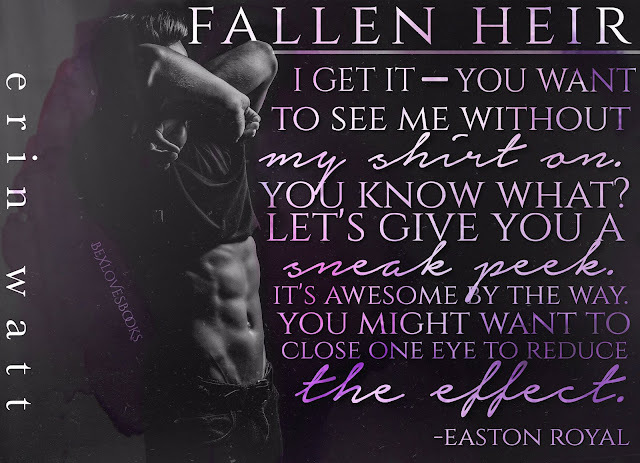 Easton and Hartley compliment each other perfectly. They are perfectly imperfect and they have created a bond that completely stole my heart. Hartley put her foot down when it came to Easton. 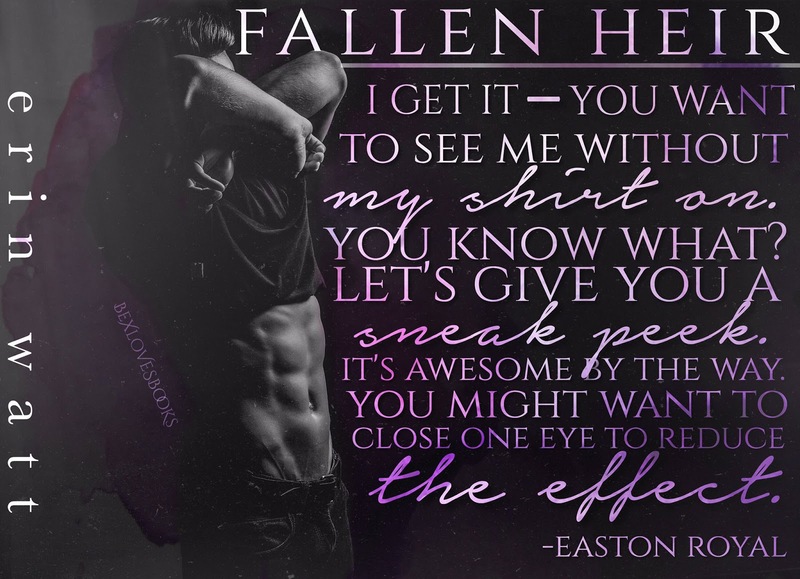 I loved Easton's flirtatious ways and how she resisted him. She accepted his friendship and that is the best thing that happened in Easton's life. Hartley was like a comforting blanket in Easton's world where he was living in blissful denial. I loved the chemistry that they shared and their addictive banter. They both have much to learn about each other and they grew so much as characters as their story evolved. It was an absolute pleasure to reunite with the entire cast of characters and to meet new characters as well. 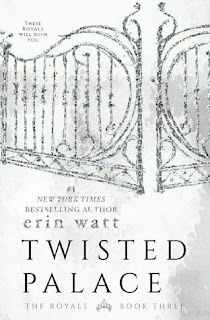 I absolutely loved this series and I am so blessed to be able to read the stories that Erin Watt creates. I highly recommend this series if you're looking for your next binge read series. These Royals will absolutely ruin you!!! The struggle is real when it comes to the days that separate me from reuniting with my Royals. Is it January yet? 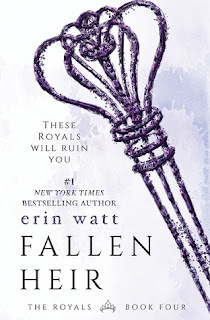 I give, Fallen Heir, by Erin Watt, 5 addictive, intense, mind-blowing, sitting at the edge of your seat stars!